A conservative Tea Party organization launched an anti-MSNBC campaign Thursday that will involve sending emails to 2.3 million people urging them to dump the channel’s parent company, Comcast, as their cable TV provider. 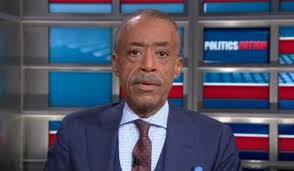 The campaign, from FreedomWorks, also includes an online video that focuses entirely on Al Sharpton, an MSNBC host the organization portrays as “a known race-card hustler” and believes its membership has a particular disdain for. “By paying your Comcast cable bill, your money is helping to pay for Al Sharpton’s salary … Switch your cable provider now,” the video says. Insiders say the video, or one like it, will also be turned into a TV commercial that will air in regions where Comcast is prevalent. The email, as well as the FreedomWorks Facebook page, which boasts more than 4 million fans, links to an online site containing the video and asking readers to pledge to dump Comcast. The site even links to alternative providers such as Dish Network, DirecTV, Verizon and AT&T. Comcast has 22 million TV subscribers in the U.S. and 20 million high-speed Internet subscribers. It’s also the parent company of NBCUniversal, which operates 30 television networks as well as a film studio and theme parks. Comcast, NBCUniversal and MSNBC did not respond to requests for comment.